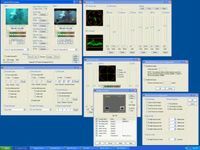 The program lets you take snapshots directly from your DVD movie. The easiest and fastest software to transfer DVDs directly to your iPhone. Watch DVDs on your phone in great quality, in full screen landscape mode. 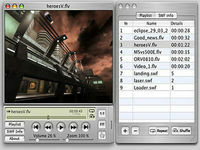 Copy DVD to popular audio& video type easliy, Great video audio quality to backup. 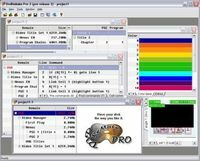 Powerful, yet intuitive DVD editor to modify DVDs without complete re-authoring. DVDZip enables you to make AVI/MPEG/DIVX RMVB/WMV/ASF/VCD/SVCD/MPGE4 From DVD. DVDZip can Convert DVD VOB to Popular Video and Audio format file perfectly. 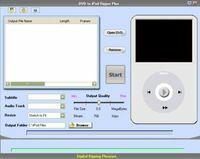 Free Convert Video/Movie/DVD to iPod video. Faster Convert Video, Movie to PSP video. Make Perfect Copies of your Favorite DVD Movies with just a few clicks! Shrink, Copy, and Burn your Favorite DVD Movies with just a few clicks! Get perfect duplicates of your favorite DVD movies with just a few clicks! 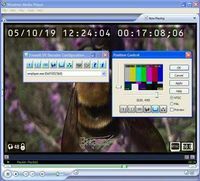 Displays date, time and timecode etc on DV video - Now displays camera info!